Precious shin-hanga (新版画) woodblock print of large vertical format taken from the series "Floral Calendar of Japan" (日本の花こよみ) by the artist Kawarazaki Shodo (河原崎奨堂) and depicting the flowers of a magnolia (木蓮). Kawarazaki Shodo (1889 - 1973) was a painter and a designer of floral subjects. He has carried out his artistic activity in collaboration with Unsodo (芸艸堂), the historical firm of the city of Kyoto still active today. 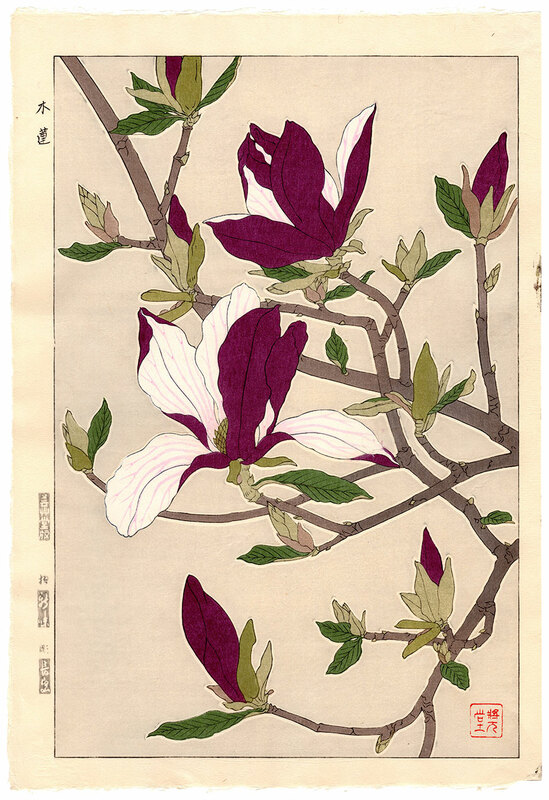 He made most of his work in the years when there was a strong demand for Japanese prints by the occupation forces of the Allied Powers. 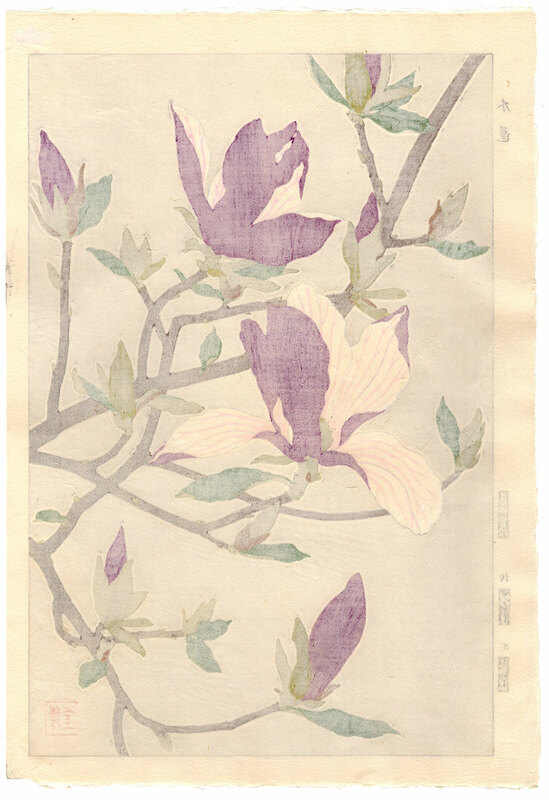 The work on Japanese washi paper (和紙), printed by the aforementioned Unsodo, was made by the carver Nagashima (長嶋) and by the printer Shinmi (新味) and is in very good general condition.